We booked the Rodeo Bull for 3 hours on a "sunny - lucky me" afternoon. It was the highlight of the day, not laughed so much in ages. Service on time, friendly and helpful staff... give it a go ... you know you want to! I have arranged a summer picnic for a childrens adoption party for the last four years have used DJ Land of Castles. 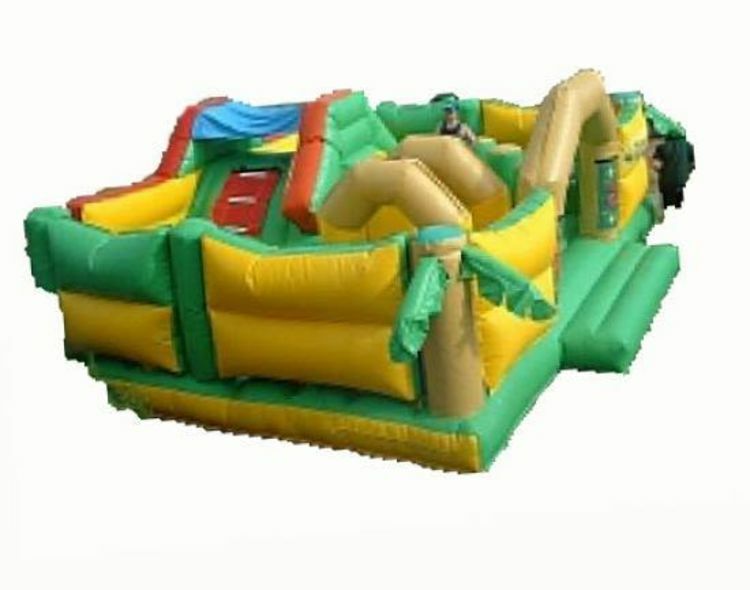 They have been punctual with competitive rates and the bouncy castle has been top quality each time.This year I foolishly booked with another company. They did not arrive with the bouncy castle and did not answer my calls. Desperately I called DJ Land of Castles and they went out of their way to get a bouncy castle to our party.I am really grateful for them saving the day, and the children loved playing on the bouncy castle.I recommend them to anyone and will always use their service for future events. The Jungle Book Muti-play is a great attraction for any event! it is 25ft x 26ft.Children will love the adventage and challenge that they provide with this bouncy castle.This multi-play activity slide features exciting bish-bash obstacles,a scramball wall and a small inflatable slide.This bouncy inflatable is ideal fro school fetes,team building events,school hoilday camps,corporate events, fund-raising days, chsrity events and pirate parties any many more.We deliver our themed bouncy castles, inflatable slides,rodeo bull hire,plus are assault courses and adult bouncy castles and domes,to Merseyside & Liverpool, Widnes, Runcorn, Wirral,Warrington, and St Helens, and some of these areas and further areas will be a additional fuel charge or toll/tunnel charge.Check our delivery checker on our home page,it will tell you if there is a charge for your area.